(TORONTO) – Environmental leadership and social consciousness meet advanced technology, dynamic performance, and luxury to create the all-new 2010 Lexus RX 450h – the second generation, L-finesse inspired update of the pioneering luxury hybrid crossover. Complete with standard luxurious and intuitive features and technologies, at a manufacturer’s suggested starting price of $59,500, the new RX hybrid delivers additional horsepower, improved fuel efficiency, plus environmental excellence. All 2010 Lexus RX 450h models feature an all-new Lexus Hybrid Drive built around a larger, more powerful, yet more efficient 3.5L V6 Atkinson Cycle engine coupled to high torque electric motors and a Continuously Variable Transmission (CVT). The result is a gain 10 % in horsepower – up to 295 HP – and a 16% improvement in combined city/highway fuel efficiency. New technologies include a Cooled Exhaust Gas Recirculation System (EGR) which improves fuel efficiency and reduces smog-forming emissions, and an Exhaust Heat Recovery System (EHR), which improves efficiency in cold-starting conditions. A new EV mode switch that enables the RX hybrid to be driven short distances in electric-only mode, plus all-wheel-drive AWD, Hybrid SNOW mode, sequential shift capabilities, plus a full suite of handling and safety technologies such as the state of the art Lexus Vehicle Dynamics Integrated Management system (VDIM), Lexus hybrid regenerative braking system, and Lexus Electronically Controlled Hydraulic Braking system. Power moon roof, and more. Wood and leather-wrapped steering wheel and shift knob. Dual screen rear seat DVD entertainment system with audio and DVD remote control and two sets of wireless headphones; plus a 115v/400-watt power outlet. 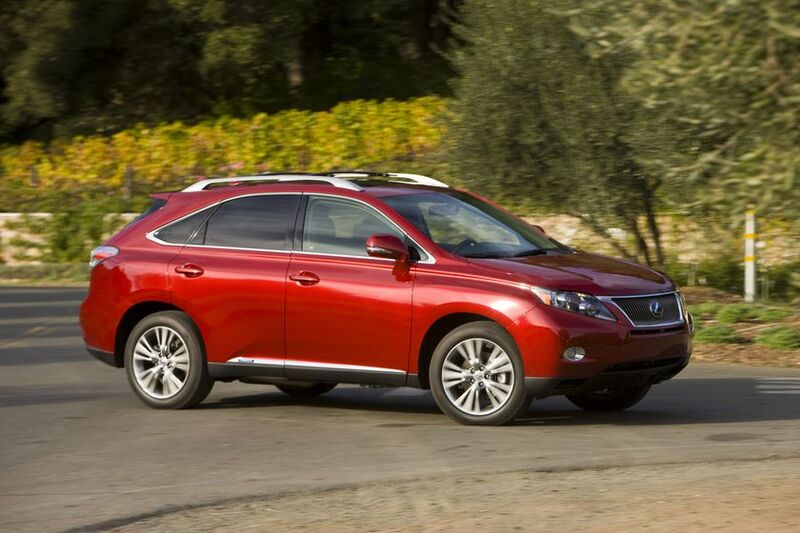 The 2010 Lexus RX 450h is now available at Lexus dealership showrooms across Canada.